Solar Eclipse August 21, 2017 – Are You Prepared? A rare solar eclipse is expected to occur coast to coast over the USA tomorrow. Some believe this eclipse is a negative spiritual event. Traditionally a total eclipse was seen as a source of dark energy or a bad omen, because the Sun’s energy is blocked and the Earth goes dark for a while. However, I believe this is a misconception in regards to the actual energetic and spiritual attributes of a solar eclipse. 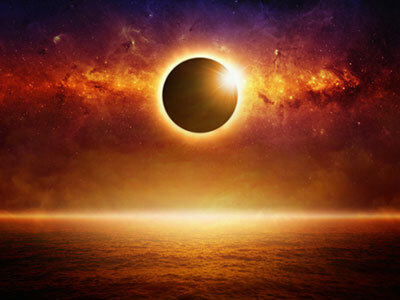 When a solar eclipse takes place, it heightens the energy towards the Earth and all humans, but especially towards those on a spiritual journey. This is a good time to meditate, reflect and successfully perform personal spiritual rituals or practices. And yes, because the energy pull shifts, it means that you will feel the difference if you allow yourself to.